Welcome to the Overland Park South (KS) Rotary Club. Following the Rotary International standard, our club places “Service Above Self” as our guiding principle. We would love for you to consider being a part of our dynamic work in the community. 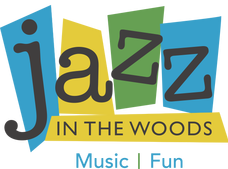 This is an important year in our work as we celebrate “30 Years of Women in Rotary.” We are also building on 27 successful years of our major fundraising project, Jazz in the Woods, as we find new ways to sustain our mission of charitable giving to area programs for children. In the past, we have donated hundreds of thousands of dollars to worthy causes that directly support children and their families. We also take a little time to have fun together and enjoy the camaraderie and fellowship with others committed to service. Won’t you consider joining us? Weekly meetings are held at Deer Creek Golf Club, 7000 W. 133rd, on Wednesdays at 7:15 a.m. and conclude promptly at 8:30 after a hearty breakfast and a stimulating program. The first Wednesday of each month is designated StartUp Rewind during which entrepreneurs bring information about their efforts to begin new ventures into reality. If you have an interest in serving others, the Overland Park South Rotary Club might just be what you’ve been looking for. If you are searching for ways to widen your own network, the Overland Park South Rotary Club might just be what you’ve been looking for. Contact me for more information.